“How did the both of you get to speak at two TEDx talks?” We get this question a lot; and always the emphasis on the two. We’d done more than 400 talks and presentations in 3 different languages across countless cities and villages around the world BEFORE we spoke at our first TEDx. Did the numbers count? Do you really have to do soooo many talks before you get to a TEDx? The answer is no. Well, not really. In that 100 times, we also learnt to trust that that one person who stood up and left halfway didn’t leave because he/she had gotten bored, or worse – offended by what we said; but actually had other things to attend to (like picking the children up, or remembered the stove was left on – this actually happened!). It took about another 100 times for us to become comfortable with being completely vulnerable on stage (like sharing stories we wouldn’t dare to share in front of our own parents). And then another 100 times for us to stand on stage, tune into the crowd that’s there and truly listen to what they need to hear and allow the words to be said and heard (VS simply following a well-memorized script). And finally, about another 100 times to speak our deepest truth in a non-judgmental and compassionate way (without letting our own energies affect the audience), so that the people hearing it can benefit from it in their own way (however the message is being heard and processed by them). But no, we did not get to speak at TEDx because we were ‘experienced’ enough. To say the things that mattered to us, to the very people we care about – in a way that not only is true to our realities, but also illuminates the truth in our audience. Can you relate? Is any of this resonating within, calling forth your #soultruth? If so, what truths is waiting for my attention – what needs to be said, and more importantly, heard? If not, what resistance is holding me back? Is this resistance serving me for where I want to be? Is it mine in the first place? 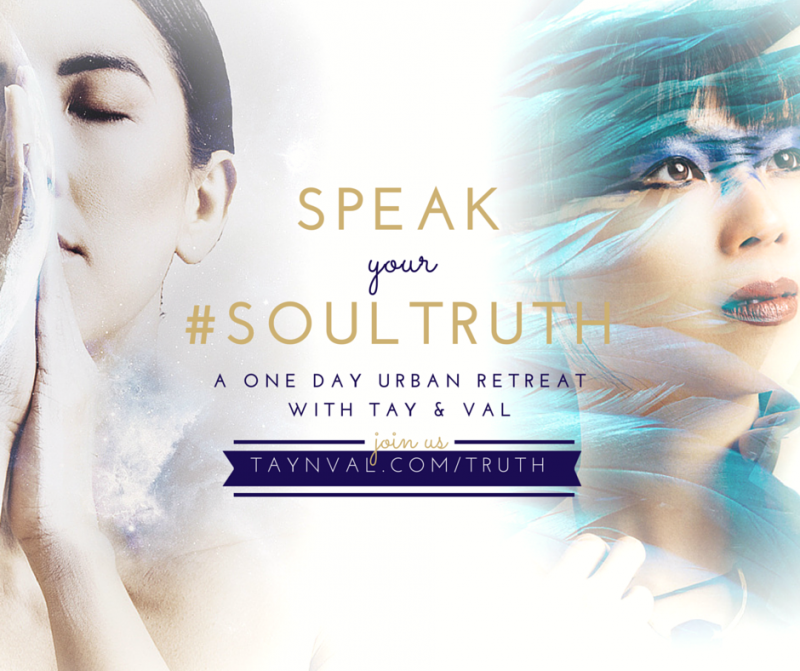 And when’re ready, gently click this link to access your invitation to our upcoming “Speak Your #Soultruth” urban retreat. You, your work, and your story matters. It’s our deepest prayer that it gets told and shared and passed on, however you choose to do so. And if we can be a catalyst in helping your #soultruth unfold and told, we say “Yes!” to it… to you. Say “Yes!” to yourself, to your soul, your truth – your #soultruth here. P.S. Yes, this is a “live”, in-person event in Seattle (we’ve had a fellow Soulpreneur drive up from California and join us for our most recent retreat – what a treat for both us and her!). P.P.S. If you’re interested in attending an online virtual version (split over 2 half-days), leave us a comment below and let us know. We’ll set it up if there’s enough interest.